Boosted Post vs Promoted Posts Round 2. The results are in. 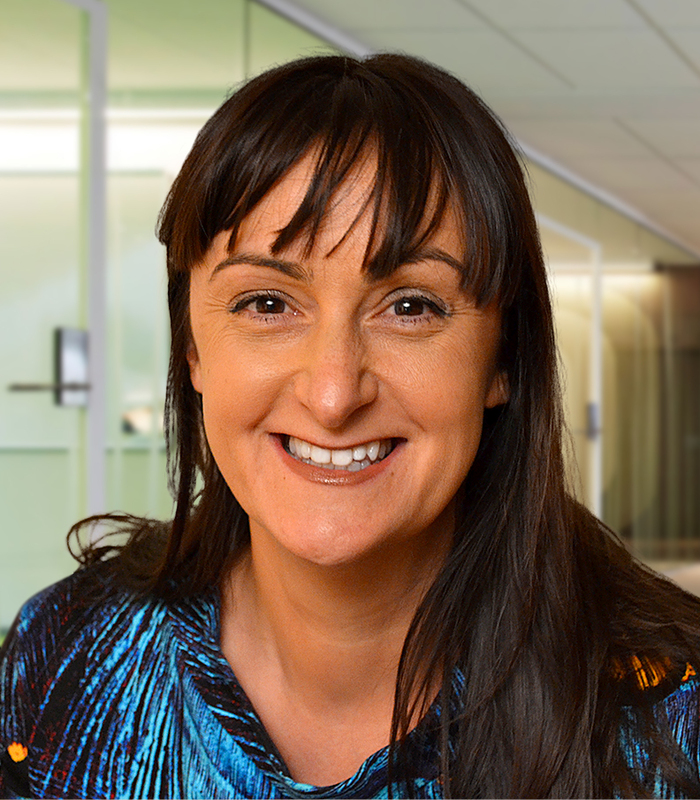 We carried out a small scale experiment on whether it was better to boost a post, promote a post or create an ad back in April and promised to carry on with the investigation. At that point it did indeed seem as if advertisers would achieve better results by boosting than either of the other options. But is this still the case and can we replicate those favourable results for boosting in another experiment? 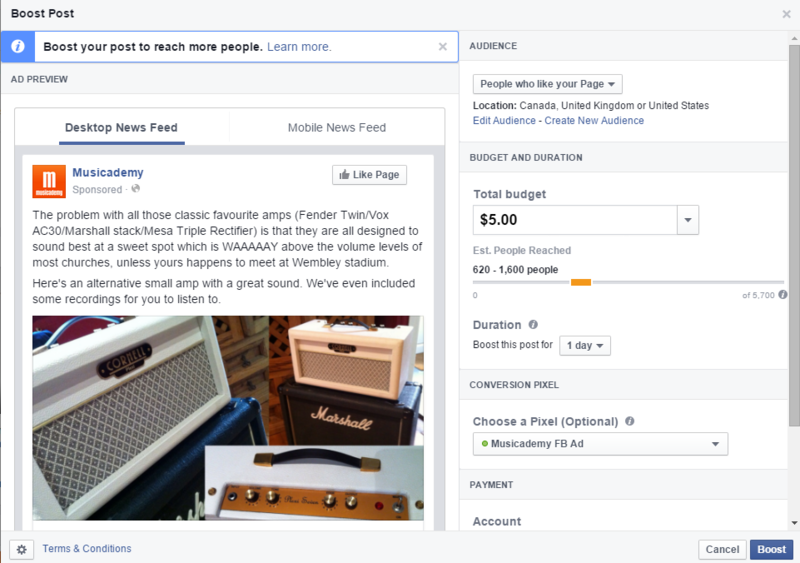 Using a different Page, this time Musicademy’s Facebook Page we took a popular Link Post and simplified the experiment. This time we took the original organic post and split $20 of ad money equally between boosting it as a post, and promoting it (from within Power Editor – you could also do this from within the Ads Manager). The audience was identical (restricted to a subset of fans only) and both ads began and finished at the same time. An identical audience was selected for each ad. Men aged 25-60 living in the UK, US or Canada. The results stand for themselves. The Boosted Post equals or outperforms the Promoted Post on every metric. I’m happy that the Frequency is lower with the highest performing option. Frankly I’d rather have the post be seen by more people than multiple times by the same person. 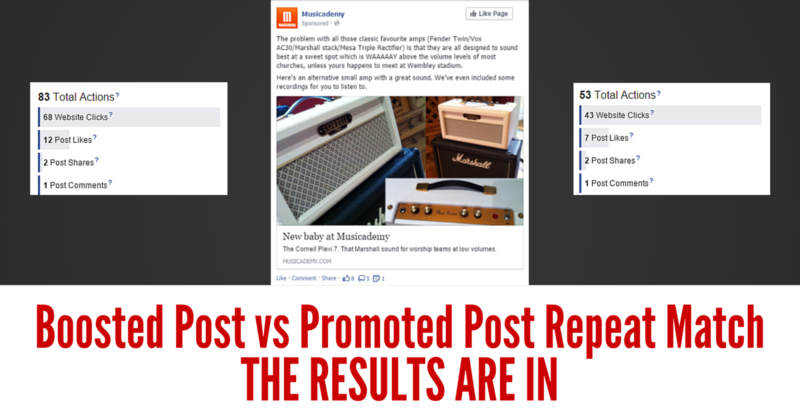 Experiment results: Boosted vs Promoted Facebook Posts. Which is best? 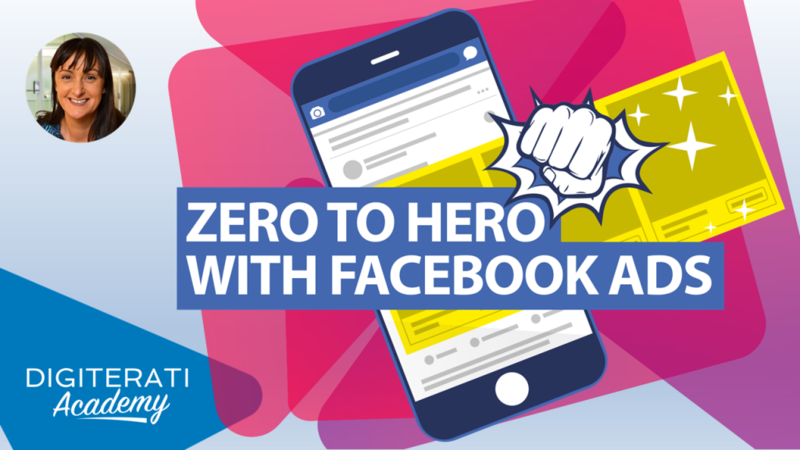 For more detailed information on using Facebook ads, targeting on Facebook and many other aspects of advanced Facebook marketing, simply click through our blog archive.